Mykolay Charnetskyi was born to a large and pious peasant family on the 14th of December 1884 in the Western Ukrainian village of Semakivka. Mykolay was the eldest of nine children. He received his primary education in the village of Tovmach and then entered St. Nicolas gymnasium (grammar school) in Stanislaviv (now Ivano-Frankivsk). Charnetskyi discovered his vocation to the priesthood at a young age and soon declared his intention of becoming a priest. In 1903 bishop Hryhoriy Khomyshyn sent him to Rome for studies. During Charnetskyi's short visit to Ukraine, bishop Hryhoriy Khomyshyn ordained him a priest on the 2nd of October 1909. Fr. Mykolay then returned to Rome to continue his studies and received the degree of Doctor of theology. From the autumn of 1910 Fr. Charnetskyi was professor of Philosophy and Dogmatic theology at the Stanislaviv seminary. He was also the Spiritual Director in the same seminary. Deep in his heart, however, Fr. Mykolay longed for the monastic life. Hence, in October 1919 he joined the Redemptorist novitiate in Zboiska near Lviv, and one year later, on the 16th of October 1920, he professed his vows as a Redemptorist. Filled with eagerness to work for the reconciliation of Christians and to convert the spiritually abandoned people, in 1926 the Redemptorists of the Lviv Province founded a missionary center at Kovel in the Volhyn region. Fr. Charnetskyi, being an ardent missionary, was sent there. Very soon he gained the utmost respect of the local people and even that of the Orthodox clergy. Having opened a monastery and a church in Kovel, Fr. Mykolay did his best to preserve the purity of the Eastern Liturgical rite. In 1931, taking into account Fr. Charnetskyi's devoted work, Pope Pius XI appointed him titular bishop of Lebed and an Apostolic Visitor for the Ukrainian Catholics in the Volhyn and Pidliashsha regions. These regions became the field of Charnetskyi's activity - first as a missionary, then as a bishop - for almost 14 years. As the first Ukrainian Redemptorist bishop he experienced persecution from the very outset of his activity. During the Soviet occupation of Western Ukraine in 1939 the Redemptorists were forced to leave the Volhyn region, and bishop Charnetskyi moved to Lviv, to a Redemptorist monastery in Zyblykevycha (now Ivana Franka) street. After the revival of the Lviv Theological Academy in 1941, Bishop Mykolay Charnetskyi joined the faculty of the Academy as a professor of Philosophy, Psychology, and Moral Theology. His calmness, based on a strong and unshakable faith, his spirit of obedience and prayer gave his students good reason to consider their professor a saint. Bishop Mykolay Charnetskyi was for them an exemplary figure of both a monk and a virtuous person. In 1944 the Soviet troops entered Galicia for the second time. This marked the beginning of bishop Charnetskyi's via dolorosa. He was arrested on 11 April 1945. He was held in the prison of the Soviet secret police in Lonskoho street. There, the bishop suffered many afflictions: interrogations in the middle of the night, cruel beating and torture. Later Bishop Charnetskyi was transferred to Kiev, where he spent another year of suffering - until his case was taken to court. Bishop Mykolay Charnetskyi was sentenced to ten years of imprisonment for the crime of being a "Vatican agent". He served this term together with the Metropolitan Yosyf Slipyi first in the town of Mariinsk in the Kemeroc region (Siberia), then later at a number of other prison sites as well. According to credible sources, during the period of his imprisonment (from his arrest in Lviv in April 1945 until his release in 1956), Bishop Charnetskyi spent altogether 600 hours under torture and interrogations, and at different times was imprisoned in 30 prisons and prison camps. Despite all these sufferings, the bishop always managed to find a word of consolation for his fellow prisoners. He supported them morally and he knew all of them by name. 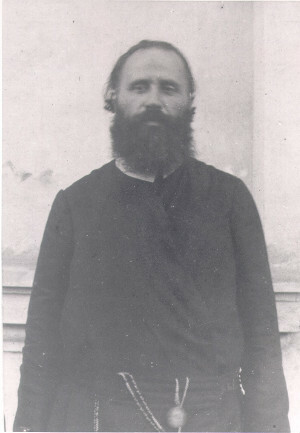 It is no wonder that bishop Charnetskyi was very popular among the prisoners, as he was the only source of consolation for them. Bishop Mykolay Charnetskyi spent the last years of his imprisonment in a prison hospital in Mordovia. In 1956 his health declined to the extent that the doctors did not have any hope as regards his survival. A special robe, in which the prisoners were buried, had already been sewn for bishop Charnetskyi. Taking into account the hopeless condition of the bishop and that the Soviet regime could avoid the blame of causing the bishop's death, the prison administration decided to release him and send him to Lviv. After his return to Lviv in 1956 and due to his contracting hepatitis and a number of other diseases, Bishop Mykolay Charnetskyi was immediately hospitalised. Everybody was sure that Bishop Charnetskyi would soon die. But, the Lord had a different plan: He decided to prolong the life of a man whose faith and work was so valued and needed by the Ukrainian Church. Soon the bishop recovered and moved to an apartment in number 7 Vechirnia Street together with Br. Klymentiy, C.Ss.R. There, Bishop Charnetskyi continued his apostolate of endurance and prayer. He spent most of his time praying and reading. Those who visited the bishop in that period witnessed to have often found him in a state of ecstasy. During his stay in Lviv, Bishop Charnetskyi remained faithful to his mission of a Good Shepherd: he supported his confreres spiritually, prepared candidates for the priesthood and ordained more than ten priests. Unfortunately, bishop Charnetskyi's "miraculous" recovery did not last long. On the 2nd of April 1959 the bishop died in a state of holiness. His last words were a cry calling on the aid of Our Mother of Perpetual Help. The funeral of Bishop Mykolay Charnetskyi took place on the 4th of April 1959. The description of the funeral kept in the archive of Yorkton Province of CSsR (Canada) ends with the following words: "We all think that the day of his canonization will come - for he was indeed a saintly bishop". Everybody who knew bishop Mykolay Charnetskyi gave an unanimous testimony of his sainthood. It was no surprise then that immediately after his death many people started addressing their prayers to Bishop Charnetskyi. One finds this impression of sainthood and of a powerful intercession before God during prayers at the bishop's tomb in the Lychakiv cemetery. Numerous people visit the place of Bishop Charnetskyi's burial to obtain his intercession when praying to God for various favours. One woman, whose arm was about to be amputated, applied soil from the bishop's grave to her arm, which resulted in a complete healing. Since then, people have been taking soil from his grave to remedy various diseases. Taking into account the testimonies of bishop Mykolay Charnetskyi's virtuous life, and particularly his endurance, courage and faithfulness to the Christ's Church during the period of persecution, the beatification process was started in 1960. On 2 March 2001 the process was completed on the level of eparchy, and the case was handed over to the Apostolic See. 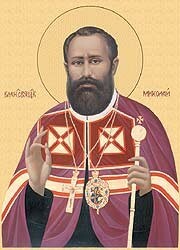 On 6 April 2001 the theological committee recognized the fact of bishop Charnetskyi's martyrdom, on 23 April his martyrdom was verified by the Assembly of Cardinals, and on 24 April 2001 Most Holy Father John Paul II signed a decree of the beatification of bishop Mykolay Charnetskyi, a blessed martyr of Christian faith.